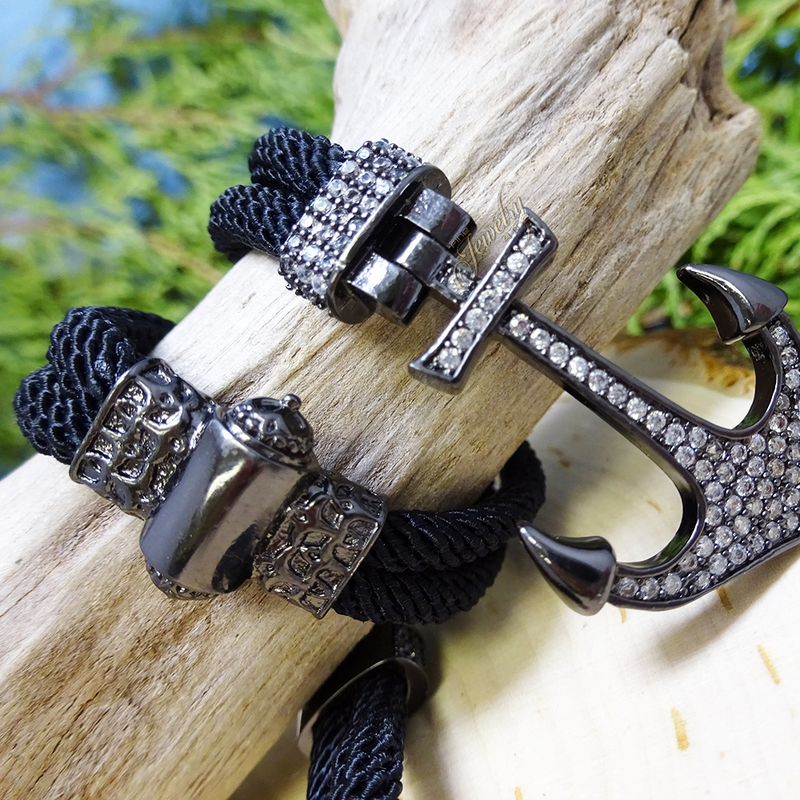 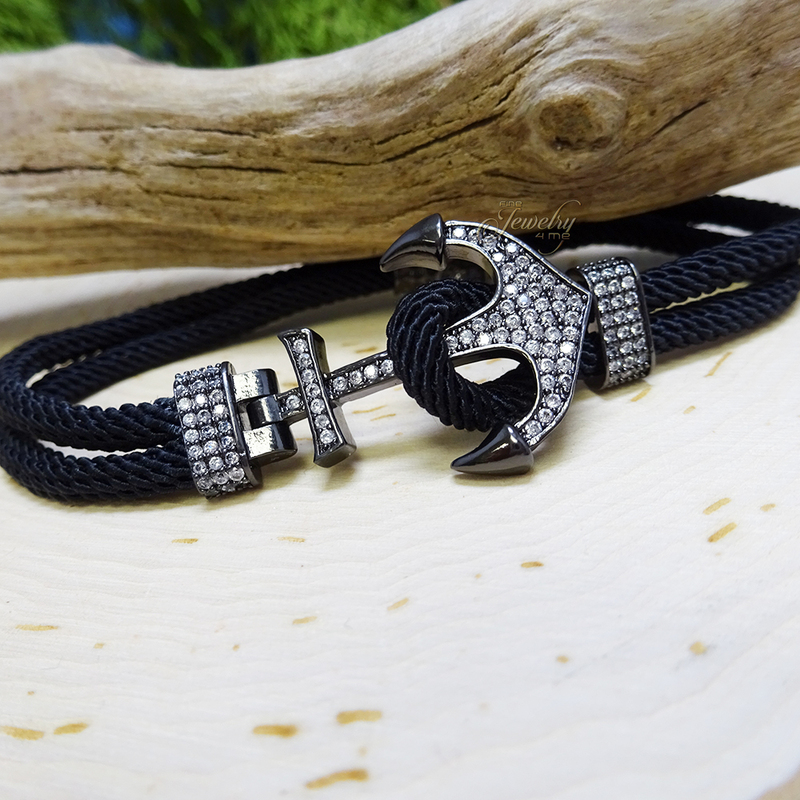 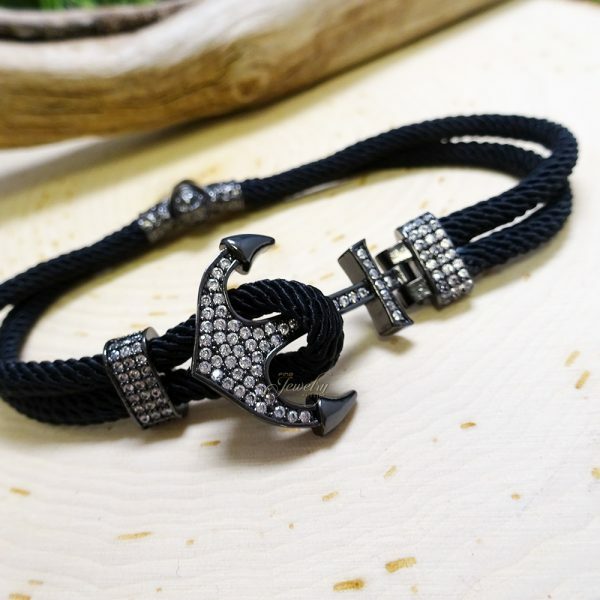 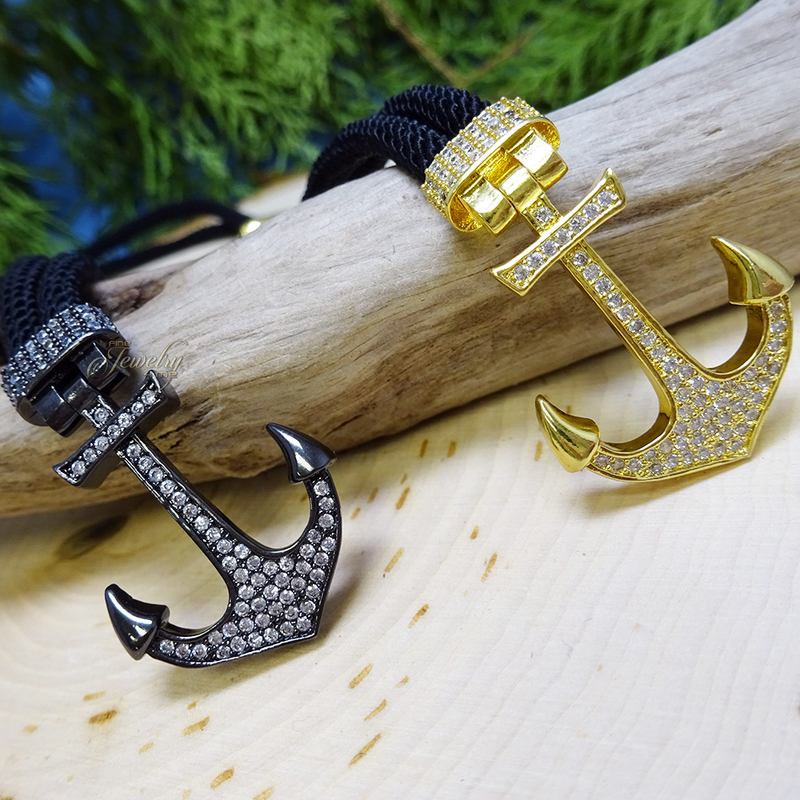 This beautiful Black Rope Chrome CZ Anchor Bracelet features 2 strands of black rope with a Chrome anchor covered in CZ Stones. 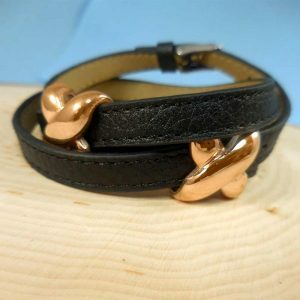 It about 18” in length when unwrapped. 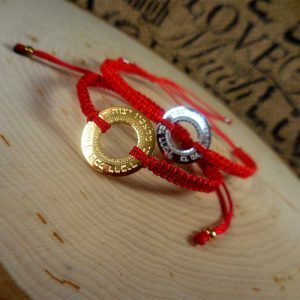 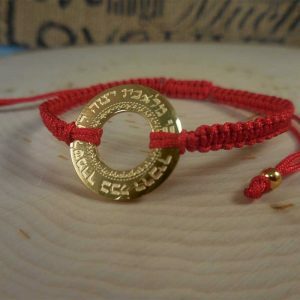 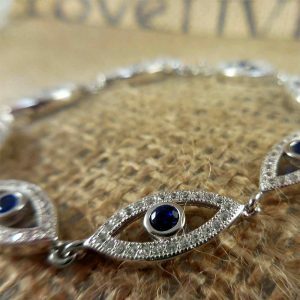 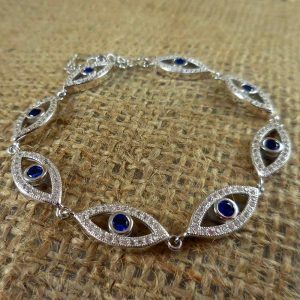 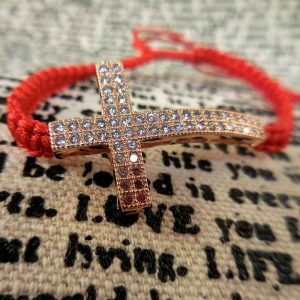 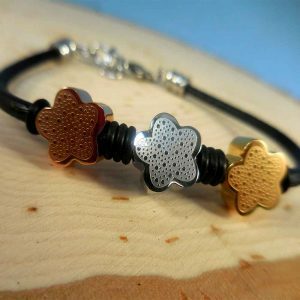 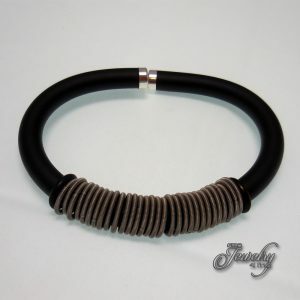 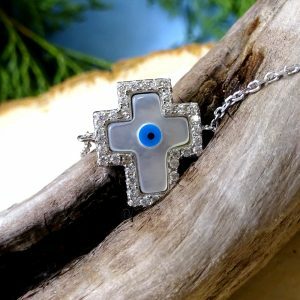 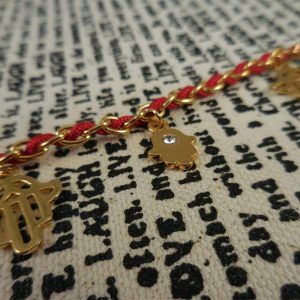 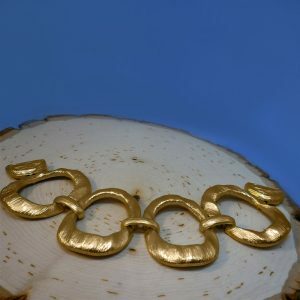 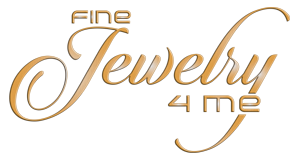 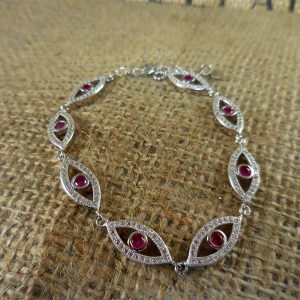 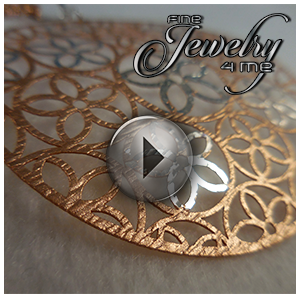 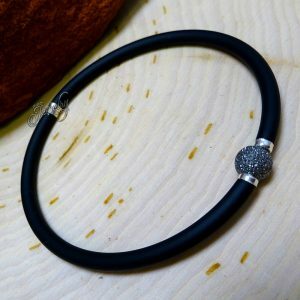 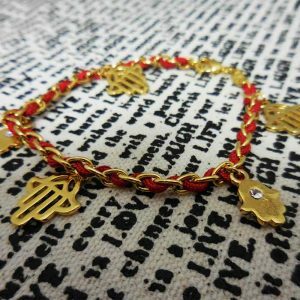 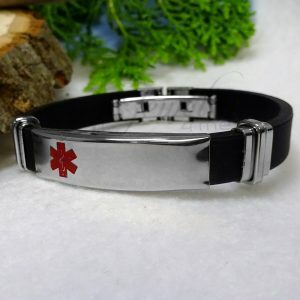 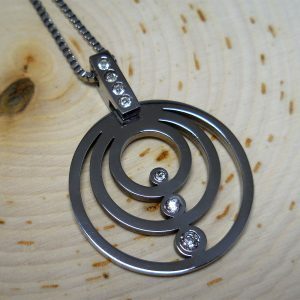 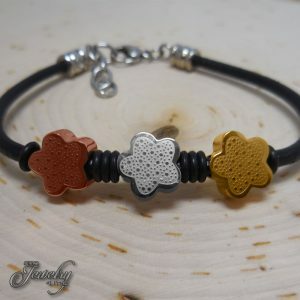 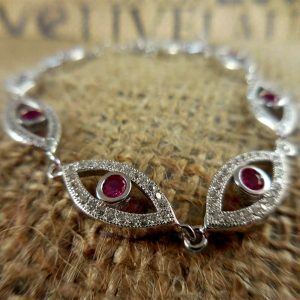 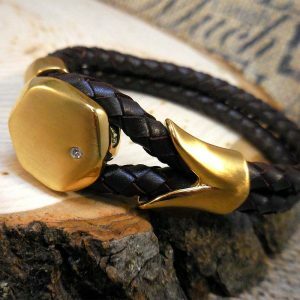 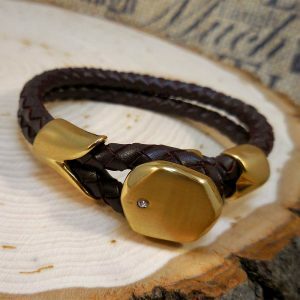 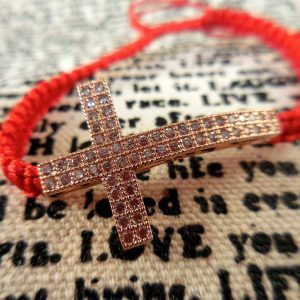 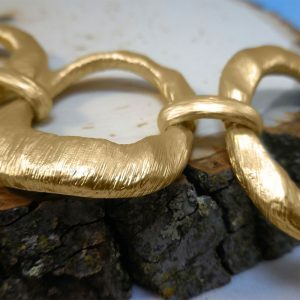 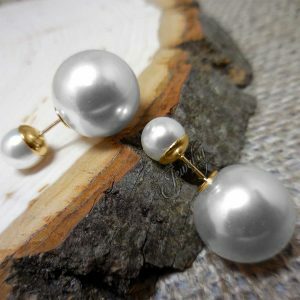 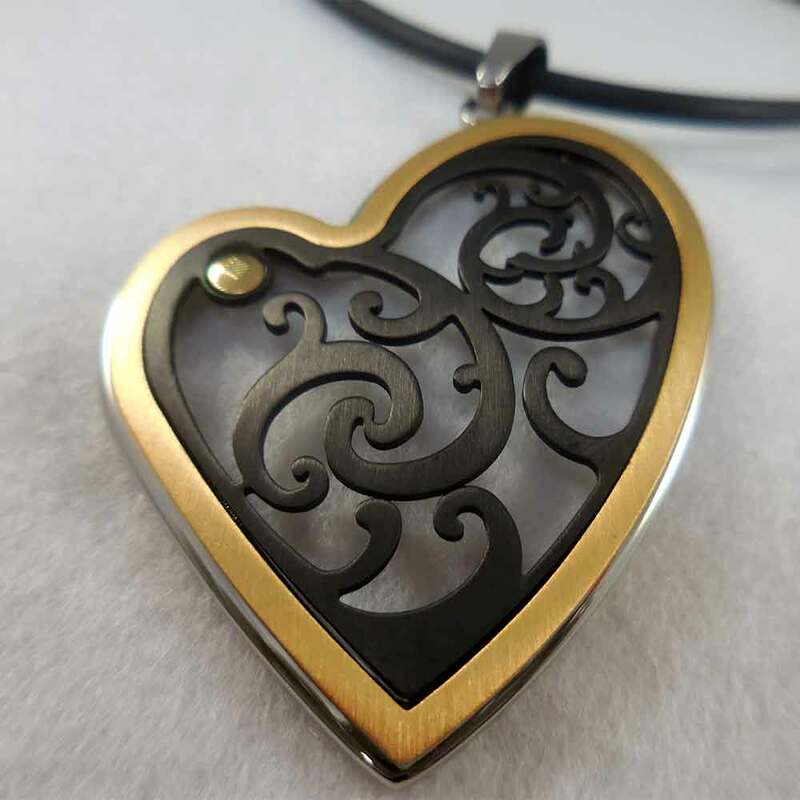 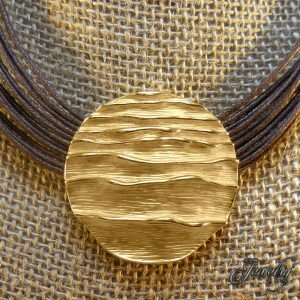 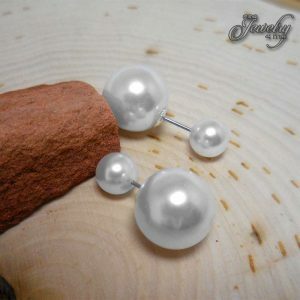 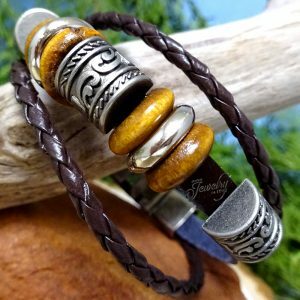 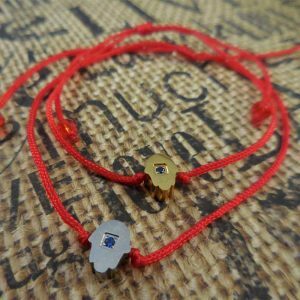 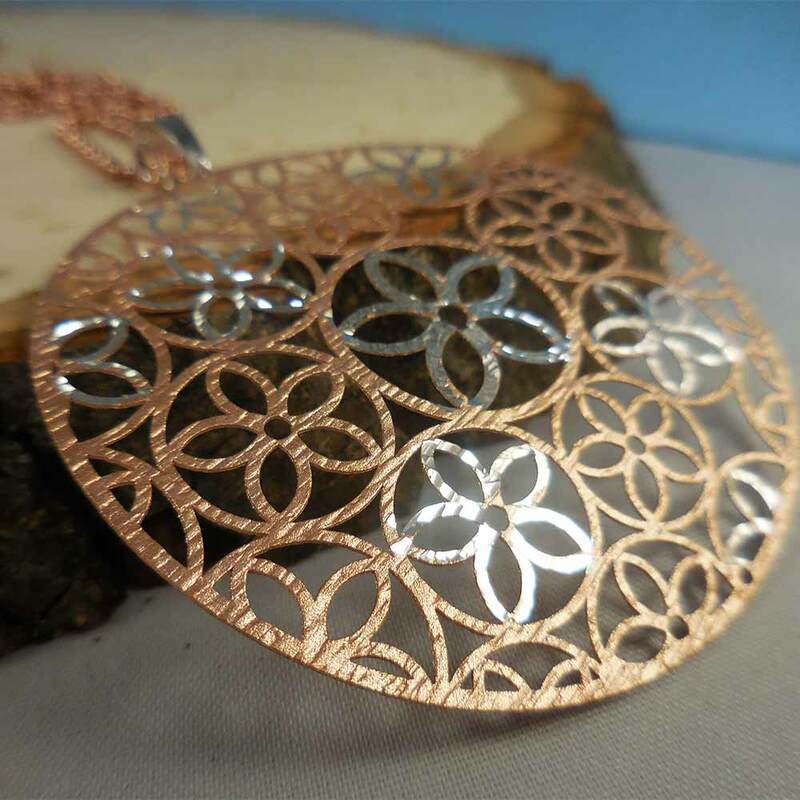 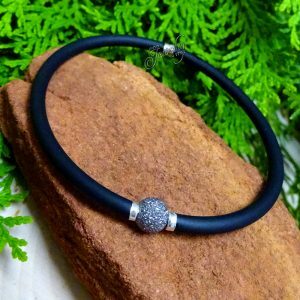 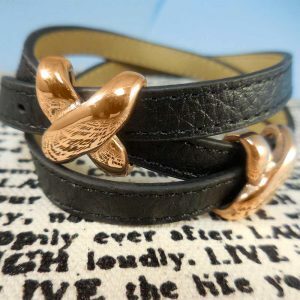 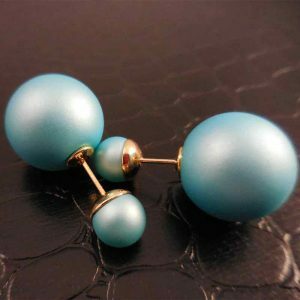 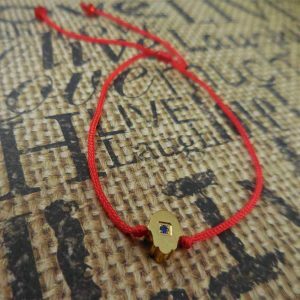 Very fashionable and unique bracelet that also comes in Gold-Fused.